The Only Way is Plastic? How Essex are you? Teen culture of today revolves around the obsessive need to acquire and maintain perfection. The ever evolving image conscious world is fuelled by reality shows such as ‘The Only Way is Essex’ and ‘Made in Chelsea’ who promote the assumption that the women featured are in fact normal. The reality is that it is a lifestyle; you are not going to have the likes of Billie Faiers dolled up to the nines, putting your carrots through the checkout at Asda. Of course, the inevitable naivety of young teens will always be a valid argument but the bigger picture must be addressed rather than simply pointing fingers. “it creates a veil over the risks and the complications”. Now I specifically remember one episodes dedication to recognising Lauren Pope’s PIP breast implant catastrophe, which one could argue is making a conscious effort to highlight the complications involved with plastic surgery. TOWIE does exactly ‘what it is says on the tin’, it gives you a personal insight into their lives and attitudes. 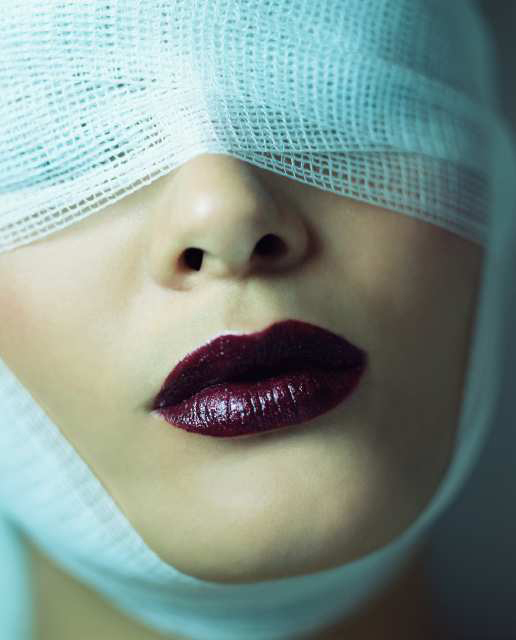 They do not consciously ‘sugarcoat’ the issue, albeit that they are light-hearted about plastic surgery but that is the nature of the programme. Is this really so wrong? Should women not be proud of their appearance and hold their head high. No women should feel inferior due to appearance and a little nip tuck could make the world of difference? Now by no means am I saying I’m an advocate of plastic surgery but I am not adverse to the idea. When I’m 60 and the devil AKA gravity has taken hold I would 100% consider knocking off a few years with cosmetic surgery and with the added bonus of celebrities such as TOWIE stars endorsing surgeries I’ll know just where to go. However, of course the issue at hand are the ever increasing number of young adults who are turning to cosmetic procedures with the tainted belief that it is on a par with getting your legs waxed. The nature of TOWIE has been based on the assumption that the target audience will take their overt, light hearted attitude with a pinch of salt. I don’t feel that the blame lies with the actual programmes, it is Britain’s image conscious culture with children jumping from the age of 10 to 18 overnight. Pointing fingers is the easy way out; the cast cannot be blamed for looking their best. Heck, I’m the same age and wouldn’t leave the house without make up on. The problem is initiated on a far broader scale. You cannot turn a blind eye to the difference in generations. Being given a mobile phone for my 13th birthday, for safety purposes, was a ground breaking maturing moment. This treat has been taken away with children from the age of 7 owning phones. Not just any phone, an iPhone? What possible reason could there be for this? This emphasis placed on growing up has developed in only the last 8 or so years. It is an unfortunate reality that times have changed. People will always whinge out of fear that generations are growing up to fast but unless education is implemented to change this mind frame, targeting the likes of Lauren Pope and Cara Kilbey is realistically not going to solve the problem. Then and only then should everyone jump on their high horse. As for me, I’m off to get vajazzled. Tags: breast implants, childern, culture, Ethics, image, image conscious, Lauren Pope, liposuction, plastic, surgery, The Only Way is Essex, Towie, young generation. Bookmark the permalink. Previous post ← Uefa: Does the punishment fit the crime?